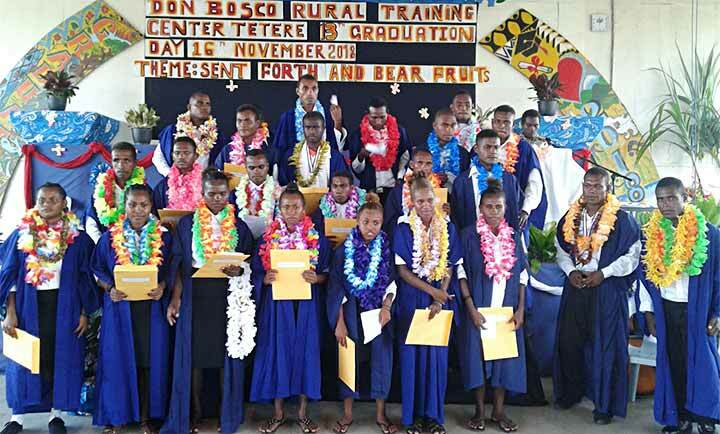 Tetere, Solomon Islands, 16 November 2018 -- ‘Go forth and bear fruit’ was the theme of the graduation ceremony held on 16th November, 2018 at Don Bosco Rural Training Center, Tetere, Solomon Islands. 26 Bosconians graduated on that occasion. 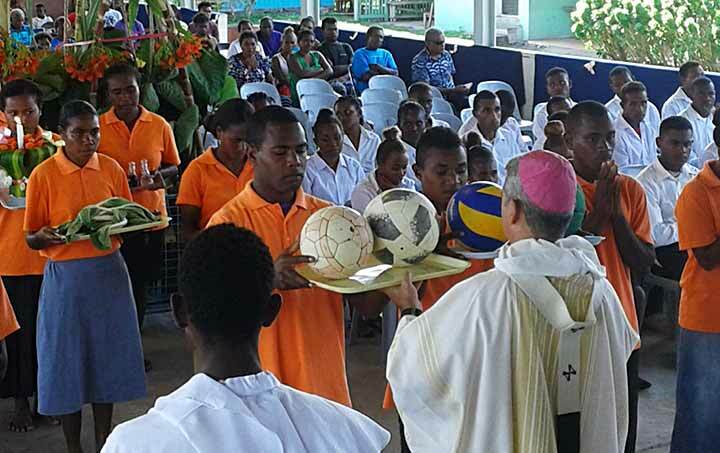 “We would like to thank our Salesian priests and in particular Fr. Albert Lenon SDB, our Rector and Principal for leading us all throughout the school year”, said the SRC Captain. He also thanked the teaching staff for their tireless service, hard work, patience and understanding. “We appreciate the love that you have for us, dear Salesians and teachers. It is the same love that Don Bosco had for the youth of his time”, he continued. 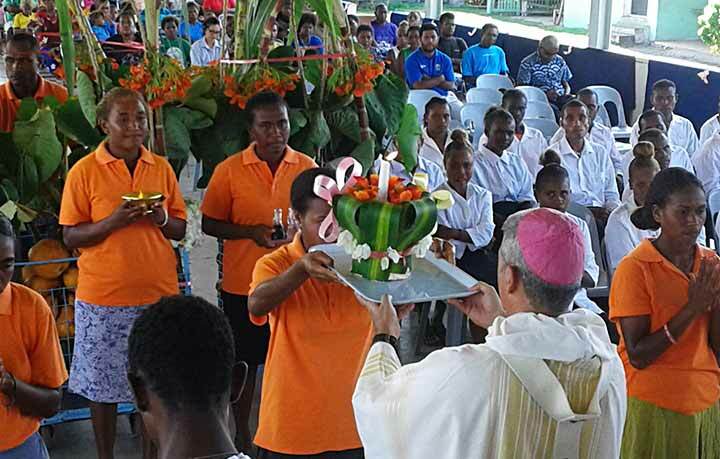 Archbishop Christopher Cardone, OP, Archbishop of Honiara celebrated a Thanksgiving Eucharist to mark the occasion. 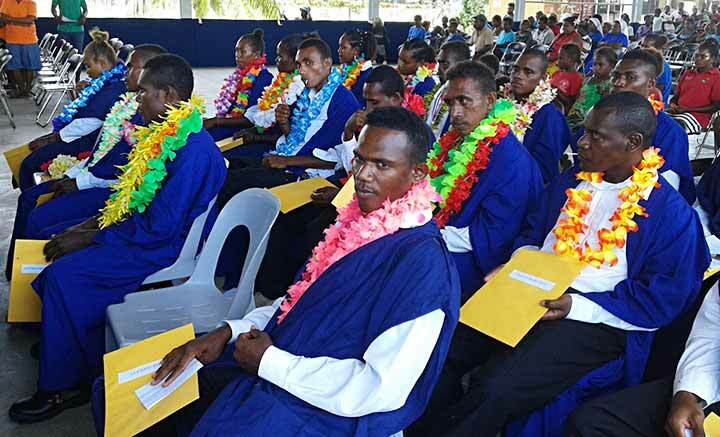 Sir Billy Mae, Director of Solomon Islands Association of Vocational Rural Training Center (SIAVRTC) was present along with others from different ministeries. 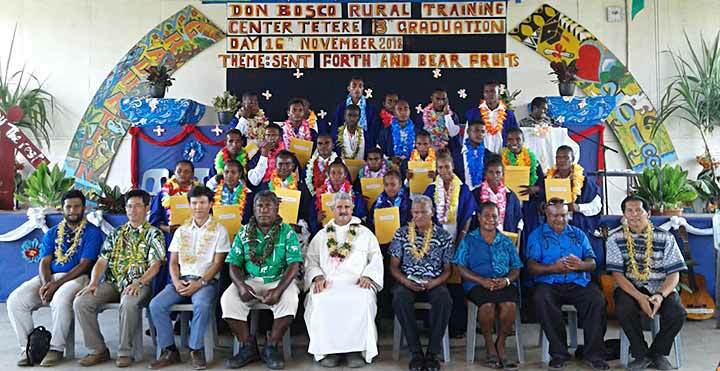 Parents and guardians were thanked for the inspiration, care and support all through their study at Don Bosco Tetere. The students were reminded to bear fruits by becoming good Christians and Honest productive citizens of the beautiful Hapi Isles. “Don Bosco has prepared us for life. Don Bosco Tetere is our second home”, said one student. 4926_"We saw Don Bosco alive!" 4924(I)_"Under the common flag of 'Salesian'"